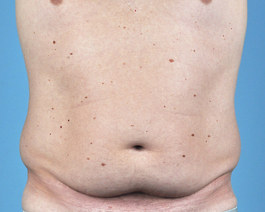 After deciding her family was complete, this professional woman in her early thirties met with me in consultation to address her excess abdominal skin. She was also bothered by the hanging skin on her sides. 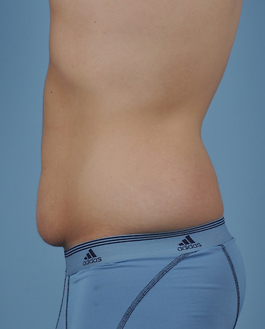 Following a thorough exam and discussion, we agreed that an extended abdominoplasty would be her best option to eliminate the bulges on her sides at the same time as her tummy tuck. With careful planning and measurements prior to surgery, the resulting scars could easily be hidden beneath her bathing suit. I encourage patients to bring their bathing suit or undergarment with them to pre-surgical marking to assist in planning the scar location. 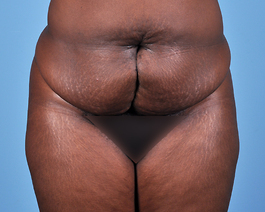 This particular patient wanted her scar to sweep upward while others may choose a straighter line. 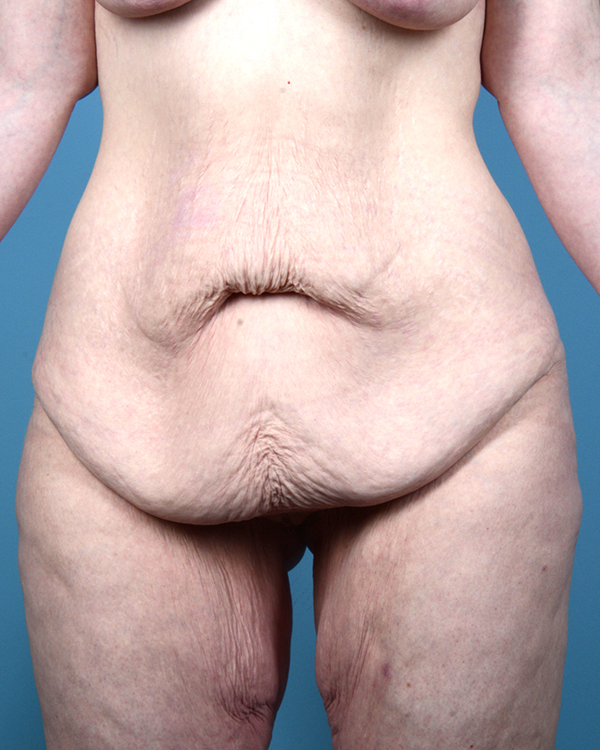 Following surgery, she was extremely excited about the removal of her bulges and felt the extra scar on her side was well worth the trade-off.